Rory McIlroy’s decision to skip the Bridgestone Invitational so as to better hone his game for The Open is beginning to look like genius. Yes, it was common sense to play on a links like course rather than a parkland ahead of this month’s visit to Royal Troon but after storming into a share of the second-round lead at the 100th Open de France with a brilliant five under par 66 at Le Golf National, McIlroy appears to be getting rid of the problems that cost him the US Open. 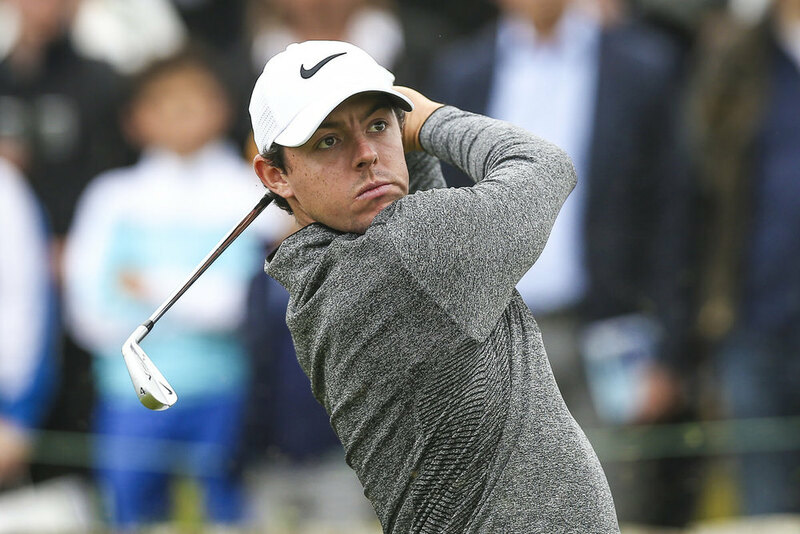 Having battled to a 71 in the first round, McIlroy admitted his swing was a “work in progress” as he juggled up to five swing thoughts and reflected on the poor play that saw him miss the cut at Oakmont. Barring a tee-shot into the water on the last that led to his solitary bogey of the day, the world No 4 was in almost total control as he soared into a share of the lead alongside Mikko Ilonen, Thongchai Jaidee, Brandon Stone and Jeunghun Wang. His 70 left him inside the top half of the field on one over bar but the rest of the Irish were forced to pack their bags. Two time Open de France winner Graeme McDowell added a 73 to his 80 to miss the three over cut by eight with Darren Clarke (74-80) and Michael Hoey (77-77) 12 over. Paul Dunne had a hole in one at the eighth, his second since turning professional, but added a 78 to his 77 and now waits to see if he makes the Scottish Open field before The Open. If he doesn’t, then Seamus Power will almost certainly qualify automatically for the Olympic Games. As for the rest in Paris, defending champion Bernd Wiesberger was at four under alongside Nicolas Colsaerts and Anders Hansen, with Joost Luiten, Francesco Molinari, Thomas Pieters and Andy Sullivan a further shot back. The diversity of the European Tour was on full display with eight different nations represented in the top eight spots on the leaderboard and there were 32 players within five shots of top spot. 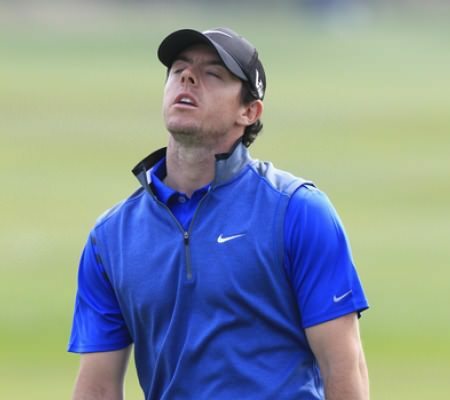 McIlroy gave himself looks at birdie on almost every hole with pin-point iron play to make birdies on the third, sixth, seventh, ninth, 13th and 14th. He surrendered his only bogey after finding the water on the last for the second consecutive day and Stone and Wang soon made it a five-way tie at the top. “It is a good day's work. I can't let a bit of a disappointing finish change what was a really good day. Conditions were tough out there. And I felt for the most part, I controlled my ball well. “It was disappointing to make five at the last, but it's not going to be the last bogey I make this week. It's just one of those things, but hopefully I can get that shot back quickly tomorrow when I start off again, and get back into sole possession of the lead. 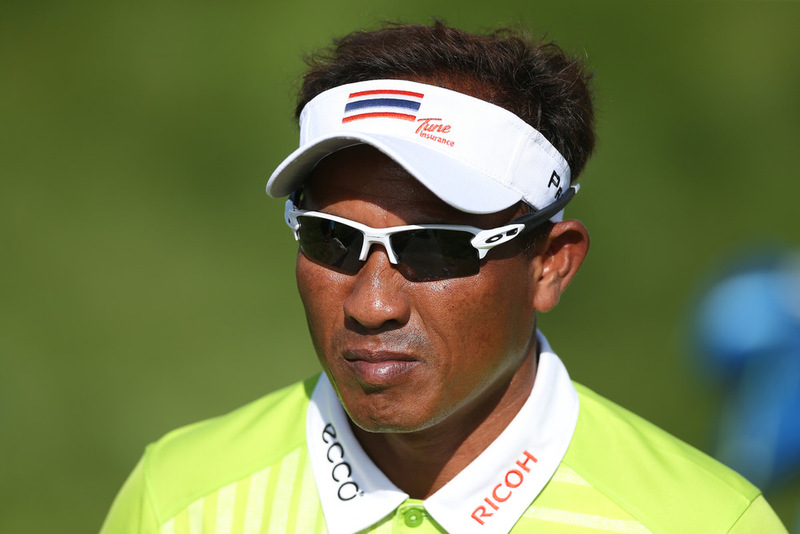 “I holed some nice putts – I've putted well this week. It was a great day overall, and obviously a great position heading into the weekend. If I focus on what I need to do in my golf swing, then hopefully the rest will take care of itself. I will hit some good shots and hopefully take advantage of some of the opportunities that I give myself. 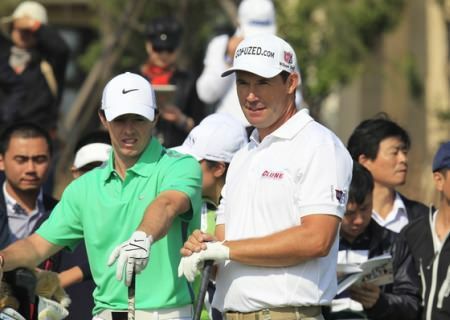 ** T Olesen (Den) 80 WD; B Rumford (Aus) 78 RT; R Rock (Eng) 80 WD.